To attract university researchers from around the world to conduct ground-breaking applied research in our coastal region, with the objective of reversing the degradation and decline in our local aquatic biodiversity, and save species-at-risk from extinction. To foster an energized local citizen science community of students, college graduates, researchers, volunteers and retirees who are actively involved in the PODS monitoring program, and are committed to passing on the work to future generations. To welcome visitors of all ages to take part in research and monitoring programs, field schools, internships, workshops, conferences, cultural programs, and international exchanges in a safe, exciting and fulfilling kinesthetic learning environment. To become a model for establishing a network of similar research facilities along the entire BC Coast. To provide support for local and international researchers in their studies of marine and freshwater ecosystems in our coastal region. Emphasis will be placed on establishing a clearer understanding of the science behind our changing environment. Studies concerning the preservation of species-at-risk, ecological responses to climate change and ocean acidification, and anthropogenic influence on biodiversity will be given priority. To establish affiliations and partnerships with schools, colleges and universities, as well as other learning institutions, individuals and groups to ensure that the PODS facilities are utilized year-round at an economically viable capacity. To substantially incease the number of long-term monitoring programs in both marine and freshwater ecosystems of our coastal region, and to strengthen our capacity to collect, analyze, and distribute data and information about the biodiversity and health of our coastal waters. To provide an extended and expanded Nature School Program, including an Aqua School model similar to the Vancouver Aquarium, with emphasis on practical field study of the marine and freshwater life along our coastline. To increase public awareness, understanding and support of aquatic biodiversity conservation in our region, and demonstrate how the economic value of biodiversity, and ecological goods and services is so crucial to everyone living in Pender Harbour and the Sunshine Coast region. To ensure, through fiscal responsibility and due diligence, that the long-term operational costs of the PODS enterprise are adequately covered from Day 1 through endowment funds, planned-giving, bequests, government grants, foundations, membership and admissions, in-kind contributions, concerts and other events, such as conferences, symposia and corporate retreats, workshops, courses, merchandising, research funding, eco-travel tours, donations, and individual and business philanthropy. 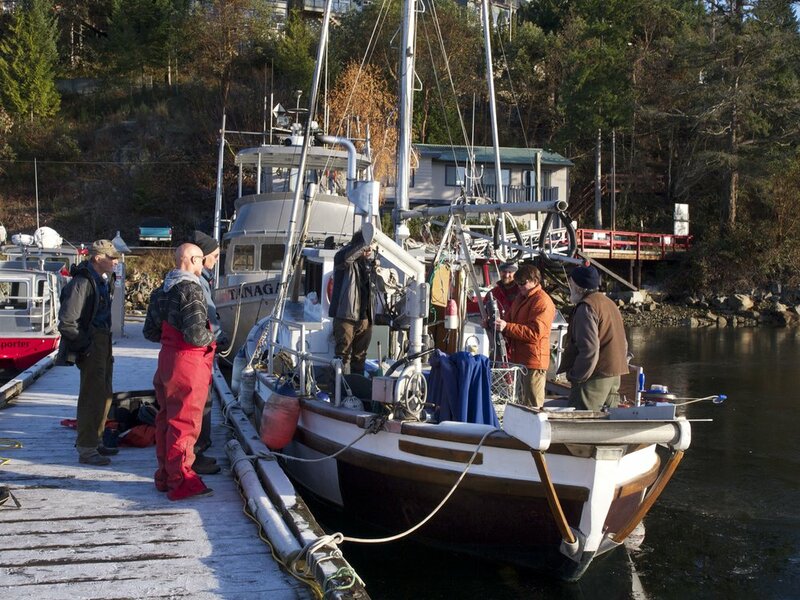 To increase knowledge, recognition, and appreciation of the economic value of aquatic biodiversity and ecological goods and services, and ensure that ecosystem services are incorporated into local decision-making and planning in the Pender Harbour region. To provide a venue for the confluence of science, art and culture through musical and theatrical performances, art exhibitions, practical workshops, community events, shows and cultural ceremonies. To inspire and empower all segments of our community to value coastal biodiversity, and encourage citizens and businesses to become actively involved in caring for biodiversity as part of their daily lives and operations. To provide access to scientific information about biodiversity, enabling governments, resource-users and interest groups to make informed decisions, and take responsible action to manage and conserve biodiversity of our coastal waters. To help create a network of protected areas, conserving a rich variety of inter-connected aquatic ecosystems, ecological communities, habitats, species and populations.